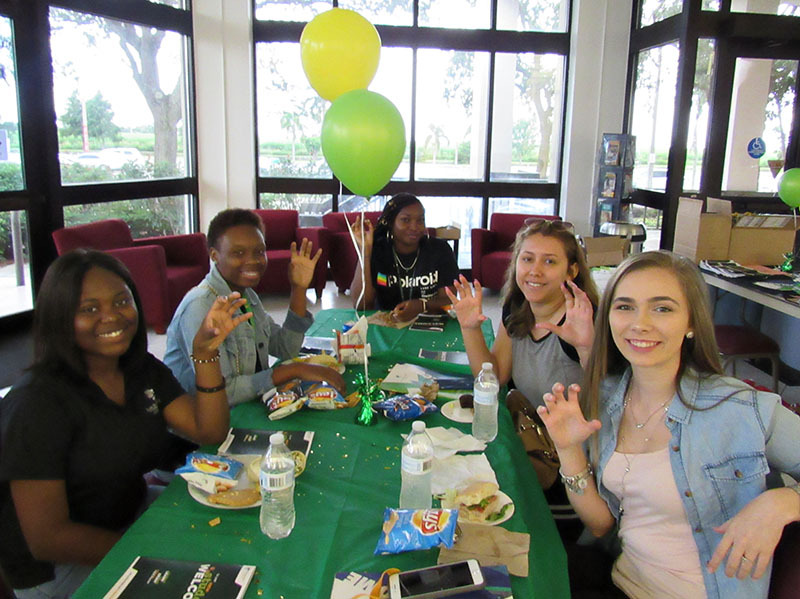 Palm Beach State College kicked off its collegewide New Student Welcome events at the Belle Glade and Loxahatchee Groves campuses earlier this week in advance of the start of fall classes. The events, formerly called New Student Convocation, are meant to help the College’s anticipated 5,000 first-time-in-college students and their families make connections and familiarize themselves with PBSC. New this year is that the Lake Worth campus is holding a Week of Welcome (WOW) for the first time from Sept. 10-14 with different activities at different times each day. It begins with “Confections of a College Freshman” event at 11 a.m. Monday in the Public Safety Training Center, where new students can meet second-year students, eat sweet treats and pick up a PBSC swag bag. The week ends on Friday with a Rapids Water Park excursion from 9 a.m. to 3 p.m.
Other events during the Lake Worth WOW include nine hole miniature golf, department tours, dinner and a movie and a first-generation student luncheon. For more information and to RSVP, visit www.palmbeachstate.edu/NewStudentWelcome.